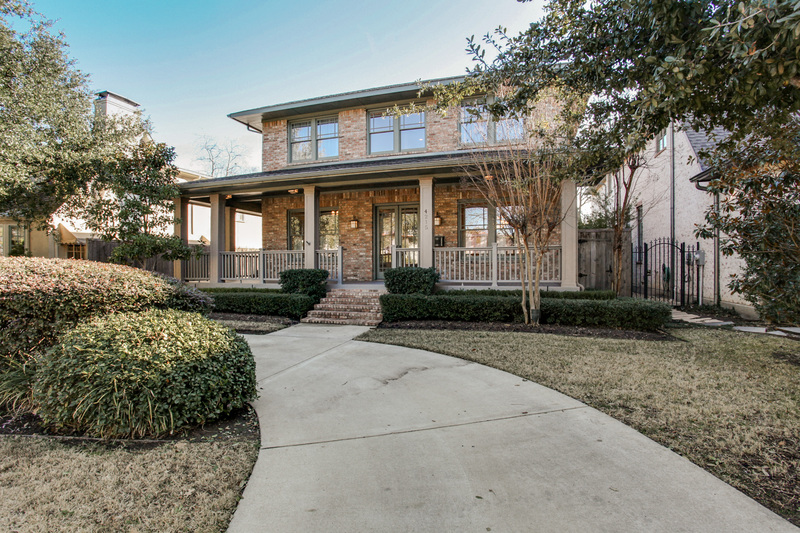 Situated in prestigious Highland Park within walking distance to Highland Park Village and Bradfield Elementary, 4215 Livingston Avenue is a fabulous Craftsman residence nestled on a 58′ x 172′ lot with a circular drive and wonderful drive-up appeal. A spectacular wrap-around porch and beautiful millwork and windows give the house incredible charm. The luxurious Master Suite is conveniently located on the first floor with a wonderful walk-in closet and bath. Three additional bedrooms on the second floor with an open living space make the upstairs a children’s retreat. Gorgeous formals look out onto porch. Hardwoods throughout. Large landscaped backyard.